It is estimated that data centers currently consume over 2% of the entire power produced in the U.S. The data factories of the future have an opportunity to significantly reduce their operational expenses by moving away from old legacy style CRAC/DX infrastructure to new process cooling strategies. 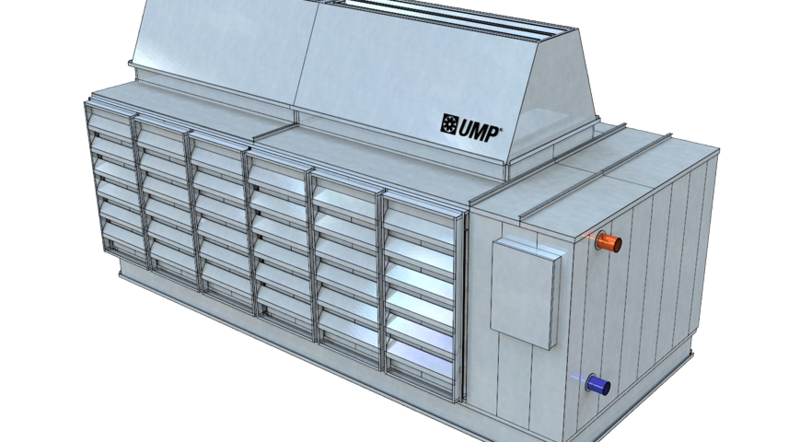 United Metal Products, the leading manufacturer of industrial and commercial air handling equipment, has developed, manufactured and deployed the revolutionary new indirect cooling product—AHCe®. The key to this breakthrough is as old as the millennium—evaporative cooling. 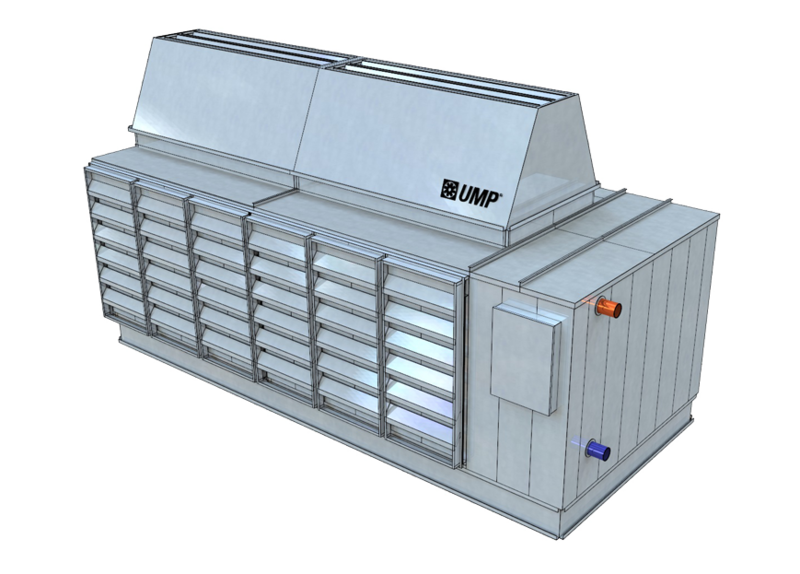 The AHCe’s unique configuration captures this simple yet powerful principle by applying evaporative cooling indirectly outside the data hall or process load area without introducing any outside air concerns such as gaseous or particulate contaminates. The AHCe has been specifically designed for the higher cold aisle temperatures being applied in today’s Data Centers. Applying this technology can provide the power, low water use installation and maintenance cost savings to the owner while lowering dramatically the PUE.